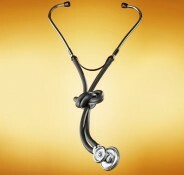 When is it better for doctors to make mistakes? My husband and I once spent a year working at one of the largest hospitals in West Virginia. The patients were the nicest people in the world, and the hospital staff was terrific—kind, generous, and hard working. Some of the surgeons were excellent, but others definitely were not. My husband (a cardiac anesthesiologist) and I had to cope with surgical complications the likes of which we had never seen before. Patients walked into the hospital for elective aortic aneurysm repair and left in a hearse because the surgeon could not get the aorta back into one piece. I particularly remember watching the geyser of blood that erupted one day when a surgeon sliced open the right ventricle during what was supposed to be a simple mediastinal debridement. Steve and I thought we were capable anesthesiologists when we arrived in West Virginia, but we were better by the time we left. Maybe the best place to train anesthesia residents isn’t the one with the top surgeons or the most dedicated teaching anesthesiologists. 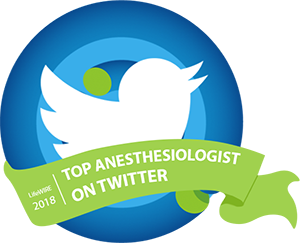 If surgeons are skillful and supervise their residents closely, the anesthesiologist won’t face surgical disaster often and may be unaccustomed to dealing with it. Likewise, if attending anesthesiologists guide their residents’ hands at every opportunity, anesthetic missteps will be rare. That may not be a blessing for the anesthesia resident who should learn how to manage both surgical and anesthetic mayhem. If you’re in private practice and don’t work with residents, you may not realize just how much pressure there is today to watch the resident’s every move during a case. We’re compelled to chart our presence at the preoperative assessment, induction, line placement, emergence, and any “critical event”. Many of us whip out the fiberoptic bronchoscope at the first whiff of a problem airway rather than let the resident have another try. Attending surgeons rarely leave their residents alone in the operating room except to close skin. To do otherwise could be interpreted as poor quality care. Certainly I don’t want a resident to make every mistake I’ve made; it’s better to learn some things by hearing tales of horror than by living them. That is the point of a good “morbidity and mortality” conference. But we had far less supervision as residents years ago, and nothing focuses the mind better than the need to fix a mess of one’s own making. In retrospect, it might have been better if someone had stopped me, when I was a resident, from injecting the full 100 mg of lidocaine for my patient’s spinal anesthetic. I suppose we could call it a “subtotal” spinal in that the young man could still speak, but let’s just say the level was higher (and the blood pressure lower) than I wished. An attending might have come in handy during my first cerebral aneurysm clipping when the surgeon asked to have the blood pressure reduced to 60, and at first I thought he meant 60 systolic rather than mean. Though the patients did fine, these moments are vivid in my memory more than twenty years later. It may be that you’re more motivated to hit the books when you realize that you have real responsibility and your ignorance could kill someone. Today’s arbitrary restriction of “duty hours” worries me too. In case you haven’t heard, there is a limit of 80 hours a week for the residents of any specialty to be in the hospital, and that may soon drop to 60 hours. This includes night call hours when they may be asleep. Surgical residents now break scrub abruptly in the middle of a case, like Cinderella when the clock strikes twelve, lest they overstay their legal time limit. If they work up a patient at night in the ER, they can’t scrub in on that patient’s surgery the next day. Anesthesia residents rarely interview their inpatients the night before surgery. The concept of continuity of care, or taking ownership of one’s patients, apparently has gone for good. Of course senior staff needs to supervise trainees. However, if we hover too closely, we’ll steer our residents around every submerged boulder in the stream and they won’t learn to recognize for themselves where the boulders are lurking. You need to learn how to work safely even when you’re tired—whether you’re tired from being on call or from watching over a sick toddler at home. 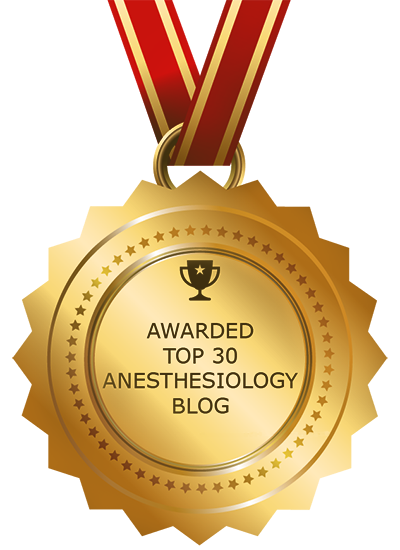 It may come to pass that anesthesia residency will be extended, either formally or informally, if residents don’t learn enough because of too much supervision and too little time in the trenches. For the first time, we’re starting to see residents graduate, go into practice, and then come back to do fellowships because they realize how much they didn’t know. One private anesthesia practice near Los Angeles no longer hires anyone directly out of residency because they have found new graduates unable to function independently. The question I have for the talking heads who make the residency rules is this: Is it better to make decisions and face the consequences when you’re a resident, or to make all your mistakes later when there may be no one around to help you? So true, even here in Chile!